Poland is the largest Central and Eastern Europe (CEE) economy, with a stable banking sector, active capital market organised by the leading stock exchange in the region (Warsaw Stock Exchange (WSE)) and an established legal framework adjusted to European standards. Poland has consistently maintained growth during the past 25 years, including during the recent world financial crisis. A positive macroeconomic environment and a well-developed and cost-effective labour market support the strengthening of Polish businesses, creating many unique opportunities for investors. Management equity incentive programmes are commonly used to align investors’ and managers’ interests. Typically, the structures used for such programmes are based either on convertible bonds or subscriptions warrants entitling managers to subscribe for new shares in the company’s share capital upon fulfilment of the conditions described in the incentive programme. Managers usually benefit from a discount amounting to the difference between the subscription value of the shares and their fair market value. In the case of listed companies, managers are often entitled to subscribe for shares for a pre-determined fixed price. The goals that managers are to achieve depend on the investor’s objective in the investment; typically, goals in private companies include reaching a certain EBITDA or amount of income. Other incentive programme structures may be based on, for example, share options or phantom shares. In the case of investing in original owners’ businesses, the sale process often involves prior restructuring of the target. This is because many of the ‘family’ businesses, especially those that were established in the 1990s, continue to be run as private businesses of individuals (primarily due to tax reasons). A change in the form of running a business and the enterprise’s contribution into the company requires diligent separation of business assets from personal property, and identification of debts connected with the business. The vast majority of investors’ targets in Poland are companies governed by the Polish Commercial Companies Code (CCC). Thus, the CCC creates the basic legal frameworks regulating control over a target and the rights of a minority investor. Companies under the CCC are divided into two general classes: partnerships (registered partnerships, professional partnerships, limited partnerships and partnerships limited by shares (SKAs)) and commercial companies (limited liability companies and joint-stock companies). Except for SKAs, partnerships are tax transparent; however, no corporate veil is in place to protect the partners. On the other hand, running a business in the form of a commercial company is connected with double taxation (first to be paid by the company and then by the shareholder) but provides the shareholder with the benefit of the corporate veil. In consequence, a business whose scale may attract private equity investors is usually conducted in the form of a commercial company rather than a partnership (with the significant exemption of first-generation ‘family’ businesses). Another significant factor that influences the preferable form for conducting business are the statutory restrictions on how Polish law-governed investment funds invest. Under the Investment Funds Act (IFA), closed-ended investment funds cannot invest in partnerships, while open-ended investment funds cannot invest in partnerships or limited liability companies. Although these restrictions apply only to Polish investment funds, other private equity investors often also prefer to invest in commercial companies. In Polish joint-stock companies, the level of a shareholder’s control over the company is connected with the percentage participation of the shareholder in the total number of voting rights. In a private joint stock company with ‘default’ corporate governance rules derived from the provisions of the CCC, a general assembly (which consists of all of the shareholders) appoints the supervisory board members (while the supervisory board nominates the management board), has the power to dismiss members of the supervisory board and management board, and has the power to adopt critical resolutions for the company. Obtaining basic control over the company requires the acquisition of more than a 50 per cent stake; however, some important resolutions require a higher majority. Reaching a 50 per cent plus one share shareholding allows the shareholder to appoint the majority of the supervisory board, and indirectly gives the shareholder control over the personal policy of the company. The CCC prohibits shareholders from giving management or supervisory board members binding instructions; however, due to the fact that the general assembly has the power to dismiss the company’s managers, shareholders have in practice indirect influence over the policy of the supervisory and management boards. m change a public company into a private company (the required majority of votes is four-fifths). The CCC provides for several regulations aimed at protecting minority shareholders. Most notably, shareholders with at least a 10 per cent shareholding may request that an extraordinary general assembly be convened and have influence on the agenda of each general assembly. A 20 per cent threshold of shares in the company allows a minority shareholder (or group of shareholders) to request a vote on the appointment of supervisory board members in groups. In the case of voting in groups, a group of shareholders may vote individually on the appointment of one (or more) supervisory board members, notwithstanding the provisions of the statutes governing the election of the supervisory board members; as a result, minority shareholders who are able to create a voting group may influence the composition of the board. Each shareholder has a right to challenge resolutions of the general assembly, management board or supervisory board. A minority shareholder’s level of influence on the company may be further extended by the statutes of the company, which may, for example, provide for the shareholder’s individual right to appoint a number of supervisory or management board members, or both, or convene a general assembly. The CCC does not expressly state the fiduciary duties of a shareholder towards the commercial company or other shareholders. Shareholders exercise their rights by voting on resolutions at the general assembly. Resolutions may be challenged by other shareholders, and members of the management or supervisory boards (or both), which creates a mechanism of control over the majority shareholder’s actions. A resolution may be challenged if it contravenes the statutes of the company or good practices and harms the interests of the company, or if it is aimed at harming a shareholder. The general clause of ‘good practices’ allows the majority shareholder’s actions to be opposed in a wide range of circumstances if the company’s or other shareholders’ interests are harmed. Although there are no specific provisions of law governing the matter, legal doctrine and jurisprudence have developed the concept of a duty of loyalty, which shareholders (especially a majority shareholder) owe to the company and other shareholders. Due to the nature of commercial companies, the liabilities of a shareholder towards a limited liability company or joint-stock company are, generally, limited to the proper fulfilment of an obligation to make a contribution to the company (in exchange for shares). In the case of an acquisition of shares, the acquirer is jointly and severally liable for the contribution with the seller. A shareholder is also responsible towards the company or other shareholders in accordance with the general principles of civil law (i.e., for damages caused by illegal actions). Company officers (members of the management and supervisory boards, liquidators) are personally liable for the damage caused to the company by their actions or omissions contrary to the law or the statutes, unless they were not at fault. Company officers should perform their duties with higher standards of care connected with the professional nature of their positions; they should act diligently, reasonably, cautiously and with foresight, and anticipating the results of undertaken actions. They are also obliged to act in the best interests of the company (which is independent from the individual interests of shareholders) and treat shareholders equally. Management board members cannot conduct a competing business activity without the company’s consent and are obliged to refrain from performing duties in the case of a conflict of interest. Shareholders, the general assembly and the supervisory board are not entitled to give the management board or its members binding instructions with respect to the management of the company’s affairs. Management board members in limited liability companies may become liable for the obligations of the relevant company – jointly and severally with the company – if enforcement proceedings against that company are ineffective and the managers did not timely file for a declaration of bankruptcy (the liability may be avoided if they demonstrate that despite the application not being filed, the debtor has not suffered damages). Private equity investments (Polish or foreign) in regulated financial institutions are limited to smaller stakes and smaller target institutions by the current policy of the financial services regulator (KNF). This is largely because the suitability criteria applied by the KNF in assessing acquisition of controlling stakes usually include the requirement for investors to commit to a long-term investment horizon, as well as capital and liquidity support that is not compatible with many private equity investors’ policies. Poland, as a Member State of the European Union, forms part of the European Union’s internal market and aims to guarantee, within the framework of applicable regulations, the EU’s ‘four freedoms’ (i.e., the free movement of goods, capital, services and people). While the obvious beneficiaries of Poland’s membership in the EU are entities from the remaining 27 EU Member States, Poland sets out very few barriers for investors from non-EU countries, as evidenced below. The principal remaining limitations on foreign investment are found in the Act on Acquisition of Real Estates by Foreigners (AAREF). Under the AAREF, if a foreigner (i.e., an individual foreign citizen, a legal person with its registered seat outside of Poland, or a company domiciled in Poland but controlled by a foreign entity) acquires real property or obtains control over a company holding real property, a prior approval of the Ministry of Internal Affairs is required (under pain of nullity). The AAREF, subject to some minor exceptions, does not apply to foreigners from the EEA and Switzerland. It also does not apply to Polish law-governed investment funds (regardless of the sponsors’ domicile) or to investing in public companies listed on the WSE. Other foreign investors may decide to operate through holding companies incorporated in an EEA country, usually in Luxembourg or Cyprus, to avoid the application and requirements of the AAREF. The Act on Control over Certain Investments (ACCI) gives the government a tool to control investments (in particular, foreign investments) in companies that are strategic for national interests and security. In general, the regulation follows similar solutions established in other European countries. According to the ACCI, acquisition of a shareholding in companies indicated in secondary regulation issued by the government above certain thresholds (the lowest is 20 per cent) or acquisition of their enterprise require previous notification to the Ministry of the Treasury, which can oppose the transaction. Lack of notification or acquisition contrary to the opposition results in the invalidity of the transaction, and is sanctioned with a fine of up to 100 million zlotys or imprisonment for up to five years. As of the beginning of 2018, only seven entities (leading Polish companies in the energy and telecommunication sector) are subject to ACCI regulations. Poland conforms to current global trends aimed at closing the remaining loopholes in the tax system through various regulations, such as the general tax anti-abuse rule (GAAR), transfer pricing documentation requirements, taxation of closed-end investment funds (CIFs) and the ‘small’ anti-abuse clause applicable to the exchange of shares and dividends. Poland has participated in the BEPS project and has implemented Council Directive 2014/107/EU of 9 December 2014 amending Directive 2011/16/EU as regards the mandatory automatic exchange of information in the field of taxation (Poland started reporting from January 2017). Moreover, Poland has signed many double tax treaties (more than 80 conventions) and international agreements on the exchange of information on tax matters. From an investor’s perspective, the most crucial change was the introduction in 2016 of the GAAR into Polish tax law system. The GAAR was created as a new tool that tax authorities may apply to reclassify the business operations of a taxpayer who obtains substantial tax profits through tax-avoidance strategies. The clause allows the authorities to ignore artificial legal arrangements, which means that the taxpayer may be obliged to pay the avoided tax with default interest and become exposed to penal fiscal liability. To decide whether a legal arrangement is artificial, various factors should be taken into account, such as excessively complex transactions or the use of conduit entities. To protect taxpayers from the tax authorities’ discretionary powers, the former may apply to the Minister of Finance and Development to issue an opinion that disallows the application of the GAAR. Since 2017 the tax rulings classified as tax abusive did not secure the taxpayers position in case of dispute with authorities. Following to the introduction of that rule, the tax authorities have conducted numerous tax audits and proceedings targeted at the past optimisation projects (e.g., concerning step ups on the value of trademarks, commercial premises and financial instruments). The approach of the tax authorities is currently much more aggressive than in the past and they are even trying to apply GAAR to tax years prior to adoption of this anti-abuse rule. So far, the most effective structures for tax optimisation of business activity carried out in Poland have been based on Polish CIFs. However, from January 2017, this is mostly not possible. The government has decided to exclude the income tax exemption for CIFs (the Polish FIZ and similar EU-based investment funds) with respect to income generated through tax-transparent partnerships, disposal of interest or shares in such partnerships, and other income related to participation in such partnerships (including passive income). This means that such income is now subject to 19 per cent income tax. A full tax exemption will be still available to Polish open-ended investment funds and special open-ended investment funds (SFIOs) unless a SFIO applies investment principles and limitations relevant for CIFs. Comparable EU-based investment funds fulfilling certain conditions will also retain the income-tax exemption. The main purpose of the taxation of CIFs is to eliminate those structures in which Polish and foreign CIFs participate with the use of fiscally transparent entities, utilised for tax the optimisation of taxpayers’ profits generated from the current business activity. Such an activity is against the primary purpose of establishing the tax exemption of CIFs, that is, exemption from the taxation of the taxpayers’ investment activity conducted through such CIF. Various tax optimisation solutions regarding contributions of assets to companies, with a portion of the contribution allocated to the share premium, are also now ineffective. Until 2017, the taxable revenue from a contribution of assets had been limited to the nominal value of shares received in exchange for an in-kind contribution. However, from 2017, the revenue achieved by the entity making the in-kind contribution is the market value of the contributed assets. A more detailed description of justified economic reasons warranting preferential taxation of mergers and demergers of companies has also been introduced. This ‘small’ anti-abuse rule has been also expanded to the exchange of shares (and previously in 2016, to dividends). These exchanges will not be longer tax neutral if there are no justified economic reasons for them. The tax authorities may challenge the tax neutrality of share exchanges when these are done with the sole purpose of enjoying tax benefits and not for justified economic reasons. As for transfer pricing documentation, more comprehensive information on related party transactions should be disclosed to the tax authorities. Under these new provisions, taxpayers are obliged to prepare more extensive transfer pricing documentation (in particular, local files are expanded). In most cases, benchmarking studies would be necessary. revenues from commercial premises are subject to lump sum tax with no tax costs deductible. Poland has commenced its battle to prevent tax avoidance and tax evasion through introducing numerous regulations designed to combat these negative phenomena. It is no exaggeration to state that Poland is becoming a less tax-friendly country, which in practice eliminates the possibility of tax optimisation. Additionally, the aggressive approach of the authorities is present not only in income taxes but also in VAT and transfer tax. A growing number of Polish public entities engage in fundraising and investing. The first public source of financing on the private equity market was the National Capital Fund (KFK), a fund of funds sponsored by, inter alia, the government. The KFK manages €110 million of funds and is focused only on small venture capital investments, providing up to 50 per cent of their acquisition financing. Another public entity operating on polish market is Polski Fundusz Rozwoju (PFR), established by the Ministry of Treasury with the State Treasury and Bank Gospodarstwa Krajowego as stockholders. PFR holds the means of approximately 2.8 billion zlotys, provided for five funds of funds. Open pensions funds are, in turn, restricted from investing on the private equity market. The typical structure of financing consists of an investor’s equity, banking loans (senior debt in the case of other financing) or other sources of financing (e.g., bonds). According to market surveys, 71 per cent of private equity investors consider that debt financing is easily available and does not pose an execution risk.17 A quarter of respondents claimed that debt financing is difficult to obtain, although promising prospects can be sure to succeed in that field. Only 4 per cent of respondents stated that debt financing is very hard to get and constitutes an investment barrier. The Polish banking sector is relatively strong, having avoided the global financial crisis. The level of leverage in Poland (and in the CEE generally) has never reached the pre-crisis levels achieved in western Europe. In addition, the percentage participation of equity in capital structures in the CEE (including Poland) in 2014 was reported to be 20 per cent higher than in Europe;18 the typical loan-to-value ratio for investments in Poland does not exceed 50 per cent. Polish investment funds are subject to limitations on incurring debt. Closed-ended funds may only obtain loans or credit from banks, foreign banks or credit institutions.19 Other debt financing available for closed-ended funds is the issuance of bonds, but only with a value not exceeding 15 per cent of the net value of the fund’s assets. The total value of debt incurred by closed-ended funds (both in the form of credits and loan facilities and bonds) must not exceed 75 per cent of the net value of a fund’s assets. Debt financing restrictions are more stringent in the case of open-ended funds, which may only obtain credits and loans of a maximum value of up to 10 per cent of a fund’s net assets, with the repayment date being no longer than one year after acquiring the debt financing, and only from Polish banks or credit institutions. In terms of legal documentation, facility agreements are typically patterned after the Loan Market Association standard documents with the usual set of clauses. Security documents are in turn local, but there is a well-established practice with regard to both their structuring and the composition of a security package. Depending on the available assets, the package usually consists of a share pledge, asset pledge, account receivables pledge or assignment, and mortgage. It is often coupled with a corporate guarantee and a voluntary submission to enforcement, which is not a security instrument in the strict sense, but allows for faster satisfaction of the creditor. Key legal terms of control transactions on the Polish market are rather standard. The most important points are the mechanics of the transaction, conditions precedent, shareholders’ mutual obligations and corporate governance, as well as the sellers’ liability for representations and warranties. The scope of legal documentation required to effect takeover transactions varies for investments in which the investor acquires 100 per cent of shares, and those in which the investor acquires a controlling stake but the other shareholder (or shareholders) remains in the target company. The latter requires execution of an investment agreement regulating the mutual commitments of the acquiring investor and the shareholder regarding their involvement in the target company and describing its corporate governance structure. Under Polish law, investment agreements are of contractual effect only, meaning that voting contrary to the agreement constitutes a breach of an obligation towards the other shareholders, which may result in liability for damages or an obligation to pay contractual penalty, but which is valid and has no impact on the effectiveness of the adopted resolution. Thus, the parties will usually strive to specify additional rights of the shareholders directly in the company’s statutes, because a resolution adopted in breach of the statutes may be effectively challenged before a court. Commonly, such additional rights of the shareholders will include the right to appoint some of the management or supervisory boards members (or both) to monitor the company’s regular business activity; and the establishment of a blocking minority to protect the shareholders from a loss of investment value (e.g., in the case of the adoption of resolutions approving the disposal of key assets) and from the dilution of their corporate rights. On the other hand, the controlling investor will usually aim to structure the statutes in such a way that the company officers appointed by it may freely conduct the company’s day-to-day business, and to have the majority required to adopt most of the resolutions to avoid deadlocks. Investment agreements will also typically provide for regulations facilitating an exit from the investment, such as tag-along and drag-along mechanisms, rights of first refusal and provisions facilitating a possible IPO in the future (e.g., regarding the obligation to adjust the statutes accordingly). Other key terms of a share purchase agreement include representations and warranties, which are usually extensively negotiated between the parties as the scope of liability of the seller depends primarily on the wording of the contract in this regard, as well as conditions precedent, which determine the mechanics and timing of the closing of the transaction. Typical conditions precedent include subscription for shares in the increased share capital, registration of amendments to the statutes with the commercial registry and obtaining concentration approval from the antitrust authority. Liability caps range on average between 15 and 25 per cent of the purchase price (with, however, 100 per cent of the purchase price as the cap for liability on title). Representations and warranties insurance is more and more frequently considered as a possibility; however, it is still not much used in practice. In 2016, the new legislation on agricultural lands entered into force and, unexpectedly, had an impact on transaction mechanics. The Polish Public Agricultural Lands Agency has a priority right in the case of any sale of agricultural land. To prevent circumvention of this right, the new regulations also provide the Agency’s priority right with respect to shares in a company that holds any agricultural land. The size of such given company, the structure of its assets, and the value or area of the given agricultural land are irrelevant for the application of the priority right. On the other hand, there is no register of agricultural lands in Poland, and in certain cases it is not clear whether such land is in fact agricultural. As a result, in the case of any share deal, a due diligence of a company’s real estate is required and, if the company holds agricultural land, non-performance of a priority right by the Agency is a condition precedent. Polish investment funds operate in accordance with the IFA. There are three basic types of investment funds: open-ended, specialised open-ended and closed-ended. Each investment fund type must be managed by an investment fund management company (TFI). Both investment funds and TFIs are subject to the supervision of the KNF. Establishment of a TFI or an investment fund requires a licence from the KNF. The IFA provides for a number of limitations as regards types of investments that an investment fund may carry out, as well as requirements as to the diversification of risk. If a TFI or an investment fund managed by a TFI breach a provision of law, and especially of the IFA, or infringe a fund’s statutes or the terms and conditions of a licence (e.g., if the investment fund invests contrary to the IFA or its statutes), the KNF may impose a financial penalty of up to 500,000 zlotys on the TFI or cancel the licence. Alternative investment companies (ASIs) are additional category of investment vehicles and are deemed alternative investment funds under AIFMD. ASIs are generally non-regulated investment vehicles in the form of ‘ordinary’ commercial companies that are governed by the applicable rules of the Commercial Companies Code. Larger-scale transactions that may influence the market come under the purview of both the Polish and European competition authorities (the President of the Office of Competition and Consumer Protection (UOKiK) and the European Commission, respectively). Any M&A transaction, subject to statutory turnover thresholds, may require competition clearance. If the turnover thresholds are exceeded, Polish antitrust law requires prior notification to the UOKiK on the intention of concentration. Until the UOKiK issues a decision allowing the transaction (or the lapse of the statutory deadlines for the UOKiK to issue the clearance, which are one or four months depending on the complexity of the transaction), the acquirer should refrain from closing the deal. Antitrust issues are especially relevant in the case of a trade sale exit. We believe that, overall, the Polish private equity market has significant potential for further growth. Poland is typically the largest CEE private equity market. Poland still hosts the highest number of companies invested. At the same time, the value of private equity investments in Poland amounted to 0.172 per cent of the country’s GDP, which is still less than the European average of 0.33 per cent. These two factors, when combined, suggest that the already large market should continue to expand. A high average rate of return on investment adds to the positive picture of Poland as the place to invest.22 The general impression of market participants and observers is that the private equity investors are taking a bigger and bigger part of Poland’s M&A market. As a result of investments in recent years and continued interest of private equity investors in Poland, sales between private equity funds are more common. 1 Marcin Olechowski is a partner, Borys D Sawicki is a senior counsel and Jan Pierzgalski is an associate at Sołtysiński Kawecki & Szlęzak. 2 2017 figures are not yet available. 3 Central and Eastern European Private Equity Statistics 2016, Invest Europe, August 2017. 4 European Private Equity Activity Data 2007–2016, Invest Europe. 9 Rynek private equity w Polsce 2016, KPMG. 13 In accordance with an interview with a Polish Private Equity and Venture Capital Association (PSIK) representative. 14 CE Private Equity Confidence Survey, December 2017, Deloitte Poland. 17 KPMG Poland; see footnote 5. 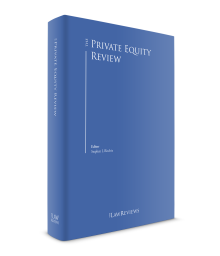 18 Time for another look – Central & Eastern Europe Private Equity, 2013, PSIK. 19 According to the Polish Banking Law, credit institutions are entities whose registered office is outside the Republic of Poland, but in another Member State of the EU, and who are conducting an activity in their own names and for their own account, on the basis of the authorisation of the competent supervisory authorities, consisting of accepting deposits or other resources entrusted under any redeemable title and consisting of granting credit or issuing electronic money.